The adorable napkins have a gorgeous silver foiled Princess design is sure to be loved by all ages! 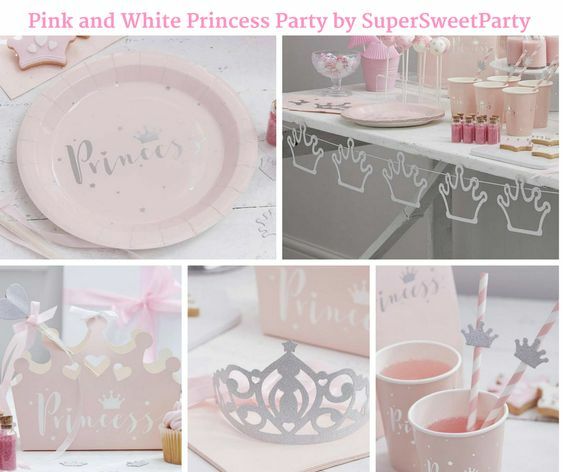 Create the perfect Princess party set-up by combining these cute napkins with other tableware in the Princess Perfection range. Serve tasty drinks to your friends and family in these super cute cups – and without the mess! The stunning silver foil is sure to be loved by all princesses at the party! These pink and white striped Paper Straws are the perfect addition to any drink at your princess birthday party. Each straws has an adorable silver glitter heart – super cute and different to any princess straw before! The stunning silver foil shines bright and sure to be loved by all family and friends. Make your little girls birthday party extra special by using the gorgeous scripted backdrop! These beautiful silver glitter Tiaras are fit for all pretty princesses! The gorgeous silver glitter shimmers and shines – the perfect accessories for all little girls! This stunning confetti and crystal mix combines pink princess carriages, hearts and flowers. Pack of 14g with a small handful of crystals. Not suitable for children under the age of 36 months.